As some of you may have read in the FanFics General Discussion Thread , we're putting this up. This is absolutely optional. And this program guarantees nothing. But through this we hope to open avenues for feedback and improvement. If you wish to join in, simply accomplish the form that applies to you here, send it to me via PM or post it on this thread. If you don't want to beta but you think you can help out writers by proof-reading, you are also welcome to do so. PM me for details. Beta-reader = involved in the story development, looks for plot-holes, checks for grammar,spelling and typographical errors. So far, we only allow two writers per beta-reader. Proof-reader = checks only the the form of the fics: grammar,spelling and typographical errors only. Proof-readers and writers need not be exclusive. You can pass a chapter to any of the Proof-readers whenever. Just give allowance for time. The procedure is simple: Choose a beta, send him/her a PM (you can click on his/her name here), wait for a response. If the Reader you want is unavailable, you can choose another one OR wait. Even if it is not adviseable, betas may read more than two (the standard maximum number at this stage) authors. Business is best conducted through PM. Quirks and tendencies that writers might not like about you: A grammar nazi. Also, extremely picky about the flow of writing, strict about character development and interactions. Character Mastery: I would like to think that while I don't have a master on particular members, but I can do various fairly well. Quirks and tendencies that writers might not like about you: Grammar can seriously get on my nerves if poorly done. I also procrastinate with various things sometimes. Nitpicky and a perfectionist. Literary Focus: emotion, flow, a little bit of char./story development...other than that none in particular.. 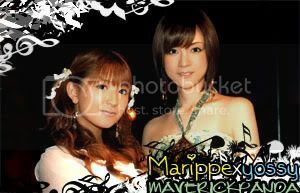 Character Mastery: Berryz Koubou and C-ute. Quirks and tendencies that writers might not like about you: Lazy, I will ignore you if I don't like you. Quirks and tendencies that writers might not like about you: I tend to speak the truth, which sometimes may come off mean. I'm also pretty random and can just go on and on about things. Quirks and tendencies that writers might not like about you: I'm blunt, and a bit knit-picky when it comes to proper grammar usage. Only one requirement from all commenters: Respect. Please. 2. to give readers a venue to voice out any apparently-negative-yet-totally-valid-complaints about any element of the fics: grammar, rhetoric, character and plot development, etc. Elements you want your reviewers to pay most attention to: "I can take anything as long as it's not biased views (like hating my fic just because you hate me)"
Elements to pay attention to: Characterization mostly. Please bear in mind that characters may seem OOC in relation to their RL counterparts depending on their roles and background in the story. Also, any awkward looking parts or plot holes. Elements you want your reviewers to pay most attention to: Grammar/sentence structure, plot holes, discriptions, the potryal of the characters' emotions, and anything else that the reader can spot. Elements to pay attention to: Grammar, ackward looking parts,plot holes, scene setups and wordiness. All comments welcomed. If there are any questions, comments, suggestions about this program, feel free to PM me or post it on this thread. Page created in 0.379 seconds with 20 queries.